The Beauty Junkie - ranechin.com: Stand Strong Against Anaemia and Win Your Day! 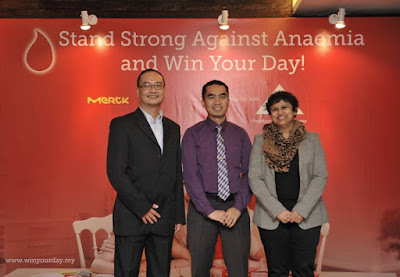 Stand Strong Against Anaemia and Win Your Day! Anaemia is one of the most prevalent nutritional deficiency disorders in the world. Globally, the World Health Organization estimated that over 30% of the world’s population (totaling more than 2 billion individuals) suffers from anaemia, with the disease being most prevalent in women and young children. 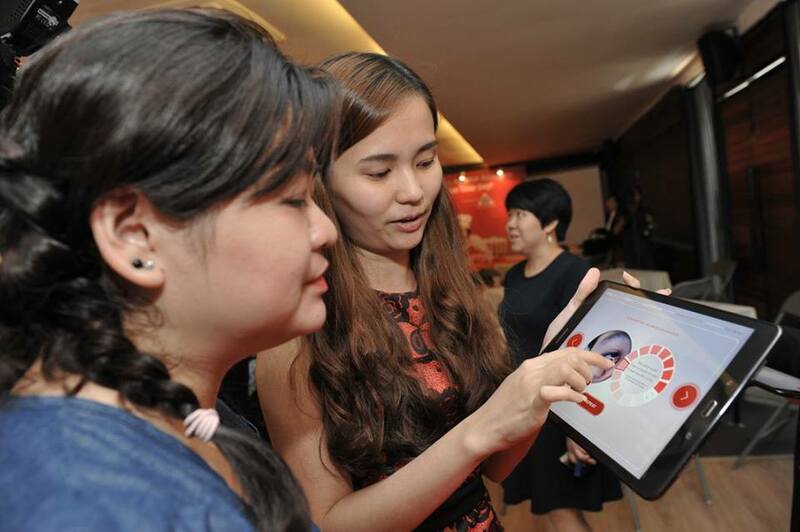 In Malaysia, of the 5,184 adults tested by Merck Consumer Health Division, approximately 39% of Malaysian adults are living with anaemia – 42% of 3,676 adult females and 31% of 1,508 adult males. Anaemia happens when the level of red blood cells or the level of haemoglobin is lower than normal, hence a reduced amount of oxygen is being carried around in the bloodstream. Iron deficiency anaemia is the most common type of anaemia caused by insufficient iron in the body to produce haemoglobin. The World Health Organization (WHO) estimated that over 30% of the world’s population suffers from anaemia, with the disease being most prevalent in women and young children. 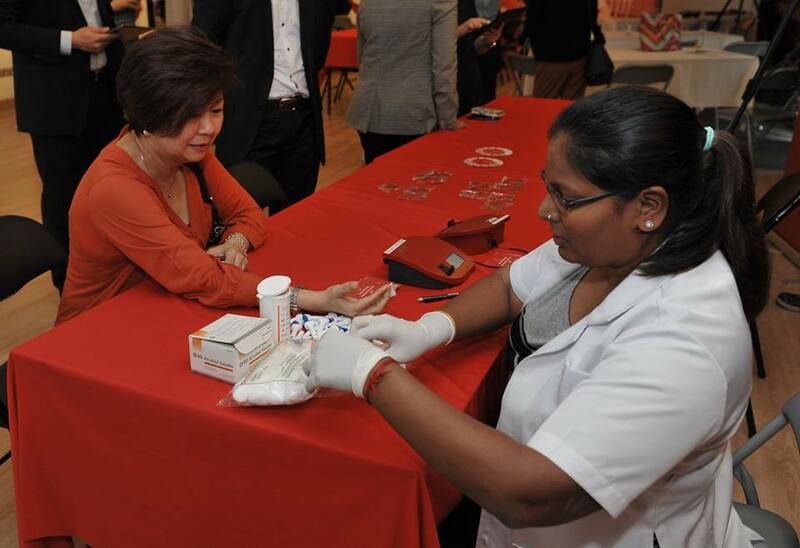 In Malaysia, of the 5,184 adults tested by Merck Consumer Health Division, approximately 39% of Malaysian adults are living with anaemia – 42% of 3,676 adult females, and 31% of 1,508 adult males. 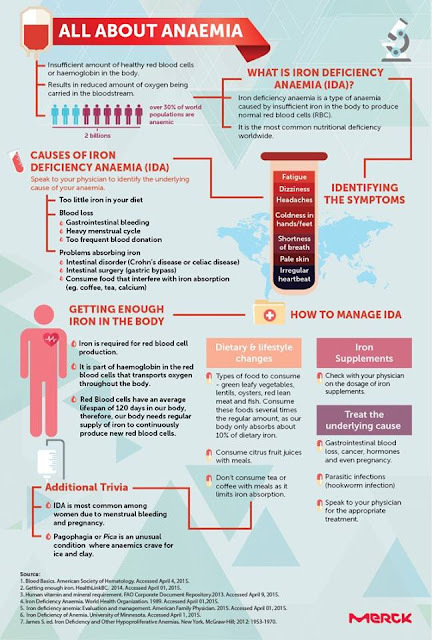 “Iron deficiency anaemia is a condition that many are unaware they are suffering from,” said Dr. Zulfitri ‘Azuan Mat Daud, Assistant Honorary Secretary & Council Member of the Malaysian Dieticians Association. “Many of its symptoms are ignored, not because people deny having anaemia, but because people generally do not know about it, or for that matter, know too little about it! We are so used to leading hectic lives and feeling tired that we often take these signs lightly. Not many think to have themselves checked by medical professionals, and the condition can often persist for years,” he explained. Officiating the launch of the Stand Strong Against Anaemia and Win Your Day campaign, (from left) Mr. Richard Lee, General Manager of Merck Consumer Health Division, Malaysia; Dr. Zulfitri ‘Azuan Mat Daud, invited speaker from the Malaysian Dieticians Association (MDA); and Dr. Dhara Shah, Associate Director of Medical Affairs, Merck Consumer Health Division. While relatively non-life threatening, anaemia can lead to various complications if left unchecked. Major health consequences include poor pregnancy outcomes, impaired physical and cognitive development and increased risk of morbidity in children, and reduced work productivity in adults. It should be noted as well that iron deficiency anaemia contributes to 20% of all maternal deaths worldwide, and is a major concern for developing countries. The symptoms of iron deficiency anaemia can be mild and risks are relatively unknown due to the lack of awareness and understanding. Due to inadequate oxygen levels in the body, iron deficiency anaemia patients may experience various symptoms such as – dizzy, lethargic or weak; frequent headaches; having a tingling or crawling feeling in the legs; strange cravings to eat non-food items such as dirt, ice or clay; cold hands and feet; tongue swelling or soreness; brittle nails and pale skin. If left untreated, iron deficiency anaemia can lead to irregular heartbeat, and in severe cases, lead to heart failure or an enlarged heart. Pregnancy, significant menstrual bleeding and uterine fibroids are all reasons that contribute to more women experiencing iron deficiency anaemia than men. According to the National Heart, Lung and Blood Institute (NHLBI), an estimate of 20% of women of childbearing age have iron deficiency anaemia. This is backed by a study carried out in Peninsular Malaysia, reporting that 25% among all women aged 18 to 60 years old are affected by the sickness. Pregnant women are even more likely to experience iron deficiency anaemia because they require greater amounts of blood to support their growing babies. 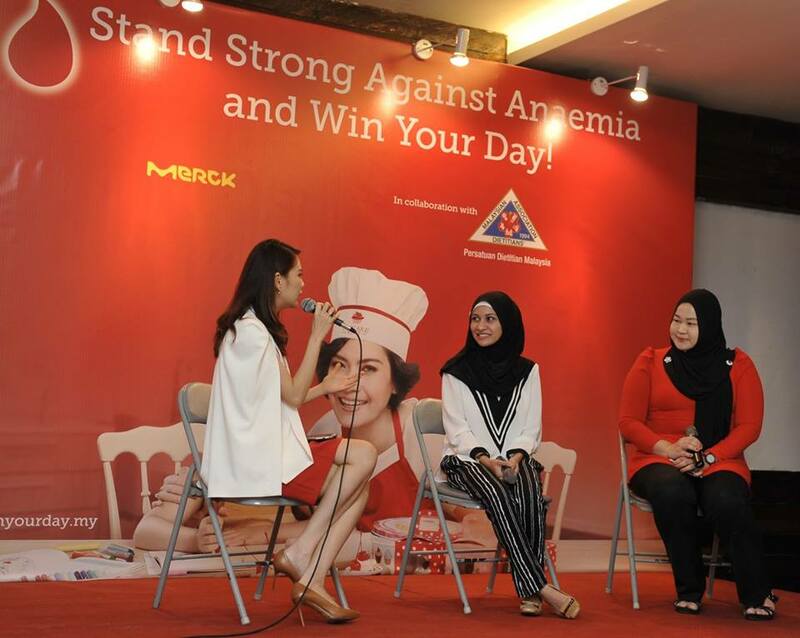 With such alarming figures, Merck Consumer Health Division is stepping up its efforts and leading the change in raising awareness on iron deficiency anaemia through their “Win Your Day” campaign. The campaign is set to educate Malaysians and improve lives, particularly women as they are more susceptible to be affected by iron deficiency anaemia. As a leader in healthcare and well-being, Merck is committed to improving and enriching the health and lives of Malaysians. 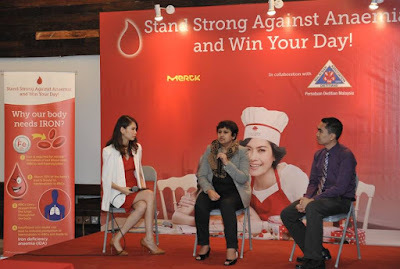 Dr. Dhara Shah, Associate Director of Medical Affairs, Merck Consumer Health Division, hopes that through their efforts, the lives of those affected by iron deficiency anaemia, particularly women, can be improved as they seek treatment and means to free themselves of the ailment. “Through raising awareness on the issue, we believe that Malaysians will benefit from a better understanding of iron deficiency, and to take the necessary steps to begin living extraordinary lives. It is our intention to guide them in taking the initiative to seek opinions from healthcare professionals. When iron deficiency anaemia is not treated, it may become severe enough to affect our daily life. Hence, we want to help Malaysian women win their days and to experience more fulfilling lives in the long run,” she said. Working closely with medical experts, the Merck Medical team in Indonesia developed an Anaemia Risk Assessment Tool. The interactive tool helps to determine whether if one is at risk of having anaemia based on simple lifestyle and dietary information provided. Available online and free to use, it leads users through a questionnaire and a visual self-assessment tool called the Conjunctival Paleness Chart. The Chart will help users to identify symptoms of iron deficiency anaemia as a person's eyes tend to be more pale than normal due to insufficient of red blood cells and haemoglobin. This can be further confirmed through a haemoglobin test administered by a professional at a clinic or hospital. The benefits to finding treatments are substantial as well, as timely management can restore personal health and raise productivity levels by as much as 20%. Advising based on his expertise, Dr. Zulfitri highlighted that dietary and nutritional management is vital in treating this deficiency. 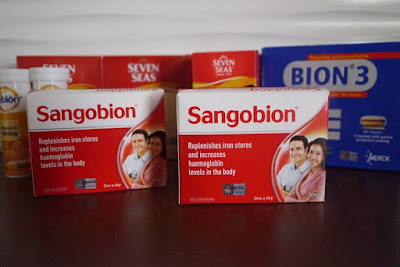 To improve one’s level of iron in the body, one should increase absorbable iron in her diet through the consumption of meat, fish or poultry during main meals. “One way to increase your body’s absorption of iron is to include Vitamin C at every meal. Also, decreasing the consumption of tea, coffee and milk during main ls helps too, as they act as inhibitors of iron absorption in food.” he explained. Dr. Zulfitri further highlighted that oral iron supplements helps the body in overcoming this deficiency. He emphasized that the supplements are best absorbed by the body on an empty stomach. However, if there is any irritation or uneasiness, it should then be taken with meals. As in the case of Nor Amni Bt Haris, 31, and Siti Noorshella Zainal, 37, their daily duties and chores struggled prior to discovery of their ailment. Nor Amni, a career lady who often skipped meals, only found out of her ailment after being sent to the doctor by colleagues after a dizzy spell at work. A change in dietary habits, along with taking iron supplements advise by her doctor, she is now able to manage her iron levels. She highlighted that working professionals, young adults or even school students should be aware of iron deficiency anaemia as it affects their productivity at work or school. Siti Noorshella, a mother of 3, discovered her ailment during one of her pregnancies. In nursing and caring for her children, she found out more about the deficiency could potentially impact them as well. Improving on her dietary habits and taking iron supplements has helped her personal life, as well as her children. Beyond adults, she advises parents to also check on their children of this ailment as it is prevalent in pre-schoolers. 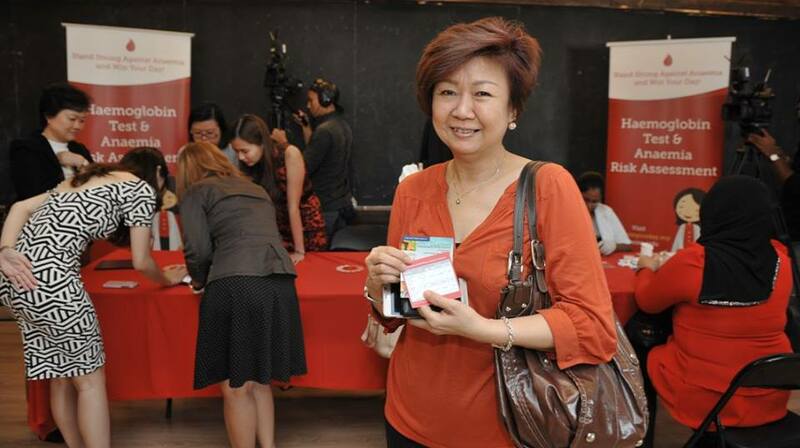 In conjunction with the ‘Win Your Day’ awareness campaign, Merck is organizing complimentary haemoglobin tests at selected pharmacies nationwide. For more information on the complimentary haemoglobin tests, and to do an initial self-check using the interactive Anaemia Risk Assessment Tool and Conjunctival Paleness Chart, visit www.WinYourDay.my. Where to Go for Lunch? It’s a Civil War At Sunway Shopping Malls!